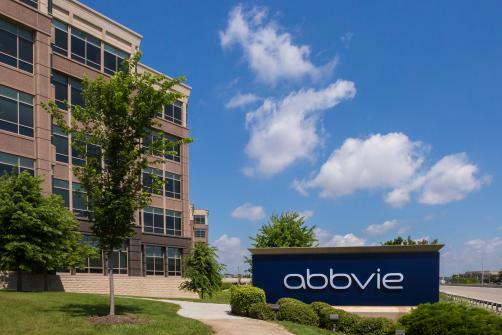 AbbVie revealed that its IL-23 inhibitor, risankizumab, had successfully met all of its endpoints in a Phase 3 trials into the treatment of moderate to severe plaque psoriasis. The results are promising but the question remains whether it can play catch-up in an already crowded market? Only a few weeks ago, Johnson & Johnson had scored European Commission approval for Tremfya, after already having achieved a nod from the FDA in July for the treatment of moderate to severe plaque psoriasis. J&J is not AbbVie’s only competitor in the fiercely fought area, with Novartis’ Cosentyx and Eli Lilly’s Taltz, both IL-17 inhibitors, already on the market and having snared several indications each. Despite this, the data release by AbbVie shows potential its therapy achieved strong results in patients; the first phase of the study met its co-primary endpoints of at least 90% improvement in the Psoriasis and Severity Index (PASI 90) and a static Physician Global Assessment (sPGA) score of clear or almost clear (sPGA 0/1) versus placebo; in the second phase of this study, the primary endpoint of sPGA 0/1 at week 52 (one year) was also met. The next step for AbbVie will be finding a way to carve its own space in the market. How it will do this remains to be seen but it could find an example from its direct IL-23 inhibitor competitor, J&J Tremfya. J&J is currently holding a Phase 3 trial directly comparing the efficacy of Tremfya against market leader Cosentyx. If Tremfya can show superiority then it has the potential to become a blockbuster treatment for J&J. This could be the next step for AbbVie, which will be hoping that its treatment can recover from the inevitable decline of its mega-blockbuster, Humira.